The weather was in the 50s again here in Worcester this weekend. That means that roofing season can’t be far behind. 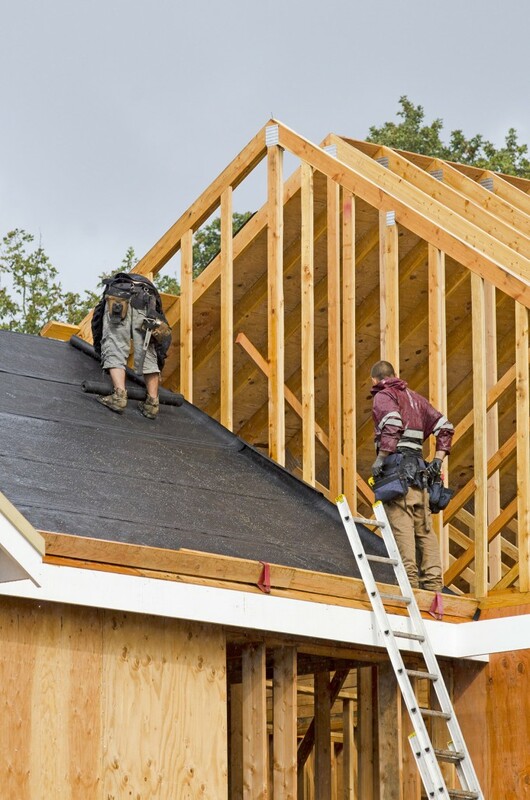 If your Oxford or Webster home needs a new roof this year, LJ Construction offers these tips to help the new roof installation process run smoothly. Hiring a professional roofer dramatically reduces the homeowner’s hard work but you can still help facilitate the process and ensure safety for everyone involved. If you are having old shingles stripped to prepare for a new roof, talk to your contractor about where the dumpster will be placed. Move cars to other parking spaces to keep the driveway clear. Stripping an old roof makes quite a mess. LJ Construction will do what we can to minimize scattering of dust and debris, but you might want to cover any sensitive items such as prized landscaping plants with a little plastic sheeting before work starts. Similarly, removing the shingles can shower your attic area with dust and grit; cover any valuables you have stored in an unfinished attic space. LJ Construction will work with you to ensure as smooth a new roof installation or roof repair as possible. Contact our Dudley, MA office today for a site consultation for your Worcester area home’s new roof. New siding options for your Worcester area home Architectural shingles vs. 3-tab: What’s best for your new roof?